The majestic Steamboat House welcomes guests to grand 1855 elegance. 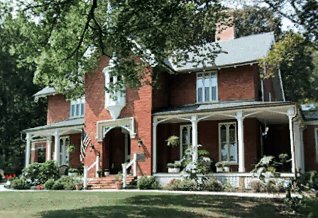 Heirloom antiques and authentic historic family photographs fill the original parlors, billiard room, library and formal dining room of this premier Galena mansion. Plaster medallions, 13-foot ceilings, crystal chandeliers and original woodwork provide the setting for an enticing full breakfast served in regal style with sterling flatware and china. Gracious living is enhanced by spotlessly clean surroundings, and homemade baked goods daily. Five guestrooms, each with private bath and fireplace, are filled with beautiful antique furnishings. Weekends, enjoy wine and cheese with your hosts; an afternoon dessert treat is served on weekdays. Guests enjoy a huge, covered front porch, private, off-street parking and a walk-to-town location. See website for seasonal packages, picture gallery, and seasonal rates.